Federal Regional Court of the 4th Region confirmed the name of the judge, according to the seniority criterion, to take over the Curitiba 13th Federal Court, responsible for the Petrolão actions. 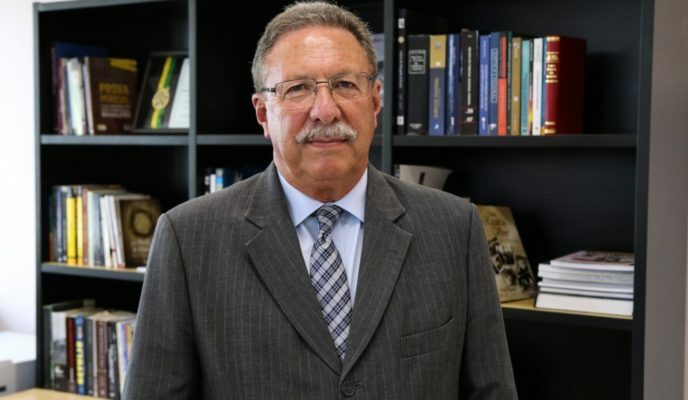 64-year-old federal judge Luiz Antônio Bonat was confirmed on Friday (8) afternoon by the Federal Regional Court of the 4th Region (TRF4) for the office of titular judge at the Curitiba 13th Federal Court, in charge of the Operation Car Wash processes. He will take over the seat left by current Justice minister Sergio Moro. The date in which he will be officially sworn-in is yet to be established, but it will probably happen any time soon. In the meantime, substitute judge Gabriela Hardt keeps conducting all Petrolão actions – last Wednesday (6), she sentenced ex-president Lula in the lawsuit involving the Atibaia ranch. Throughout the next ten days, until February 19, Bonat was summoned to substitute federal appellate judge Fernando Quadros da Silva in the Paraná Supplementary Panel. The new Operation Car Wash judge was appointed by the seniority criterion. He has worn the toga for 25 years, and previously was the titular judge at the 21st Federal Court, in Curitiba. Paraná-native Luiz Antônio Bonat graduated by the Curitiba Law School in 1979. He was approved in the 3rd civil-service examination for substitute federal judge, in 1993, and later acted as titular judge in trial courts such as the Foz do Iguaçu (PR) 1st Federal Court, the Curitiba (PT) 3rd Federal Criminal Court, and the Criciúma (SC) 1st Federal Court. He had been acting on TRF-4, where he was summoned for trials involving the social security sector. In 1996, judge Vera Lúcia Ponciano took over as Bonat’s successor over the 1st Foz Full Jurisdiction Court, and was able to accompany closely the judge’s work, after taking over the affairs of the region – which included both the civil and criminal sphere. “There were cases involving corruption of civil servants, international drug traffic. He has always been very straight and prudent,” she remembers. Right now, comparing Luiz Bonat with Sergio Moro seems inevitable. “He [Bonat] is considered a hardliner, but he is a fair and sensible person. He’s not an executioner. He is very similar [to Sergio Moro] in terms of competence, and not exposing himself too much,” ponders Vera Ponciano, when describing who is the new Operation Car Wash judge. Judge Anderson Furlan, of the Maringá 5th Federal Tax Court, agrees, and defines Bonat in one word: seriousness. “Both are magistrates of few words. In events, they usually listen more than they speak. They make occasional comments, and have that trait of listening. Both are introspective and have sharp reasoning,” he assesses. Bonat was the judge of an unprecedented cause: in the Santa Catarina Federal Courts, he determined the first conviction of a legal entity in Brazil, in 2002. The company J. Bez Batti Engenharia Ltda – and its sole partner-administrator, Aroldo José Bez Batti – was considered guilty of extracting and depositing sand without authorization in an area of permanent environmental preservation, and for causing damages to the local vegetation, in the municipality of Morro da Fumaça, in the region of the Vargedo river, in Santa Catarina. “In that decision, the company was sentenced to “community services”, paying R$ 10 thousand to finance environmental programs. Aroldo José Bez Batti had to work eight hours a week, for seven months, in parks, gardens, and conservation units, and pay a fine of six minimum wages, in 2000 figures. “It was a very coherent, modern, and up-to-date interpretation. So much so, that this decision was recognized by the Superior Court of Justice. I myself have once quoted this historical decision,” remembers judge Anderson Furlan.